All Christians at times struggle to embrace certain teachings of the Bible. I’ll never forget my seminary days when I challenged Dr. John Gerstner regarding divine election. I made a pest of myself, but Dr. Gerstner patiently endured me. Slowly, I came to learn that I must teach what the Bible says is true, not what I want the Bible to say is true. Paul’s teaching in Romans finally convinced me that God chooses a people for Himself based solely on His good pleasure. I began to see the depth of human depravity and that the Lord must sovereignly, lovingly, and directly work in the hearts of His elect if anyone is to believe. The graciousness of God toward sinners — such as myself — overcame me. Understanding predestination leads to a God-centered theology, one confident that nothing can separate us from the love of God in Christ Jesus (Rom. 8:29–39). I have seen this theology make people desire the glory of God and His kingdom above all else. A longing to see this fruit is one reason Ligonier Ministries works to help Christians develop a God-centered theology. In October, we plan to air a special Chosen by God teaching series on Renewing Your Mind. We are making this push in the hope that it will help even more people better understand God’s love, grace, and sovereignty. We are asking for your help to enable us to fund this outreach and the other ways Ligonier is reaching the world with the gospel. As a token of thanks for your gift of any amount, I will send you a special twenty-fifth anniversary copy of my book Chosen by God. You can donate via our secure website. With over 300 stations and translators both at home and abroad, it costs Ligonier $58,500 every week to broadcast Chosen by God and other teaching series to those who desperately need a place to find God-centered theology. As friends like you join with us, we can reach the world with the gospel of God. Alex reflects on his conversion and how R.C. 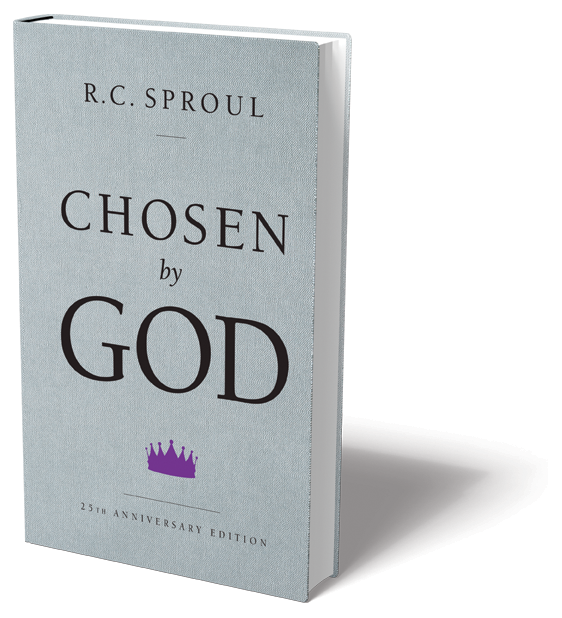 Sproul’s book ‘Chosen by God’ was instrumental in his understanding of grace, mercy, and salvation.